Twelve members of the National Association of Equipment Providers recently met at Medequip Stafford depot reports the Equipment Services Journal this month. We donned our coats and hi-vis jackets and ventured down to the enormous warehouse area for a presentation and tour of Medequip's mobile assessment unit by Andrew Pugh, the Exhibition Van Manager. Andrew is a trusted assessor and talks passionately about his role. He has a vast knowledge base with regard to all equipment and telecare. Servicing a wide area of the organisation's catchment area, the mobile unit travels far and wide and is often sited at many of the county's large retail stores and at events around the county. 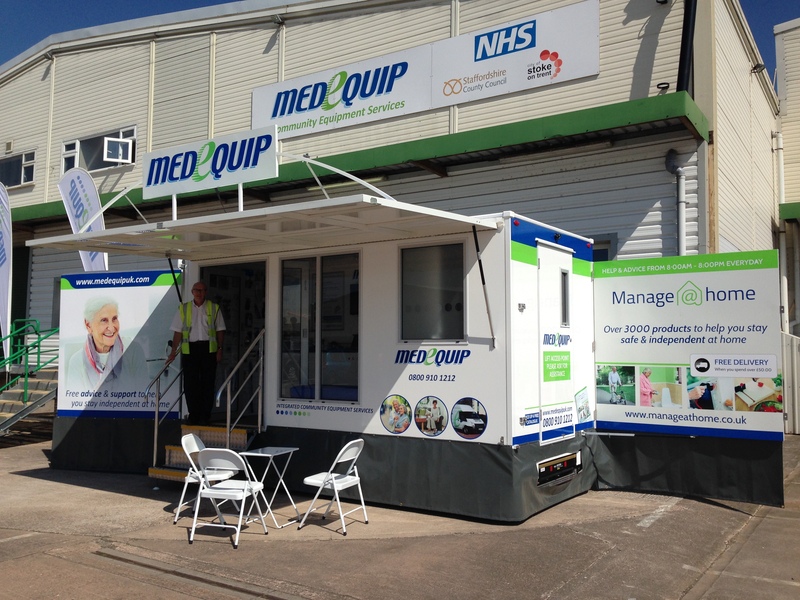 This mobile unit is fully accessible and fully kitted out with an extensive range of equipment, web access, information and advice leaflets, catalogues, free ferrule checks and complete with a private consulting room. It is without doubt a very valuable asset to the organisation. Gina Pritchett, Medequip Contract Manager for Stafford said; It was a pleasure to host the Midlands Regional Group NAEP meeting, and have the opportunity to show everyone our facilities including the largest warehouse in the Medequip group, our decontamination and equipment servicing facilities and our friendly customer service department. We hope to welcome the group again soon.